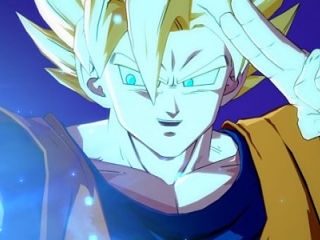 Despite there not being a lot of data available on this release yet, Bandai Namco put its fans on high alert when it announced an upcoming ‘Dragon Ball’ RPG. The game is inspired by a popular Japanese franchise. Emerging on social media, the announcement of the new ‘Dragon Ball RPG’ consists of a logo as well as information about an existing competition. During the World Finals of another game from the same universe, which were held on January 26-27, 2019, further details emerged about the gaming adaptation. The developers have unveiled another DLC character for their FighterZ game as well. Depicted as an action RPG, ‘Project Z’ could be compared to some previously released games of the same genre. Indeed, ‘Xenoverse 1&2’, launched in 2015 and 2017 respectively, are part of the same category and of the ‘Dragon Ball’ universe. Both titles involve fighting as well as role-playing adventures. Launched in 1984 by Akira Toriyama, ‘Dragon Ball’ went on to become one of the most popular manga and anime series of all time. The main protagonist of the books is Son Goku, a martial arts performer. The series follows him from childhood to adulthood as he embarks on a journey to gather seven orbs to summon a wish-granting dragon. Aside from the upcoming RPG, the Japanese developers are also planning another release for fans of the collection. Indeed, ‘Super Dragon Ball Heroes: World Mission’ will be unveiled on the western scene on April 5, 2019.